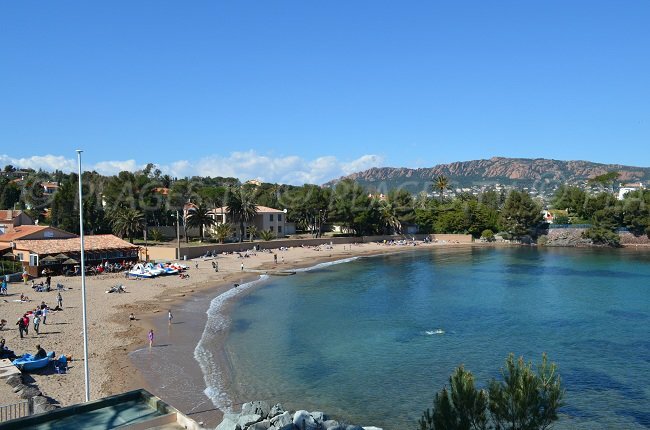 A famous resort of the Var, located at the foot of the Massif de l'Esterel, Saint-Raphael seems to have everything to attract visitors! Thirty beaches (counting the beaches of Agay), areas with diverse and beautiful monuments, the city is full of treasures just waiting to be discovered. This city of the French Riviera has remained typical and authentic. Every day, in the middle of its narrow streets, there is a market for flowers and vegetables, a good opportunity to discover the local delicacies while enjoying its colours and flavours! Take advantage of your visit to the city to stop and sample “bouillabaisse”, anchovy paste or a Polish pie, some of the specialties of the Var. Linger on the side of the Basilique Notre Dame de la Victoire of Lepante overlooking the old harbour which is one of the symbols of Saint Raphael. Made of pink sandstone, its dome and arches give it an oriental air. Choose to go to the port early in the morning to appreciate the activity that takes place there. Fishermen, tourists, the fish market and walkers from the Bonaparte garden, always something going on! During the summer, it is also here that is held the night market. 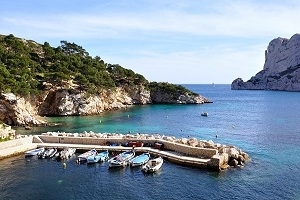 Santa Lucia Port is in the East, this is where you can explore some of the neighbouring islands and coves. While most tourists enjoy the beauty of the city, it is the beaches and coves that they come mainly to enjoy. 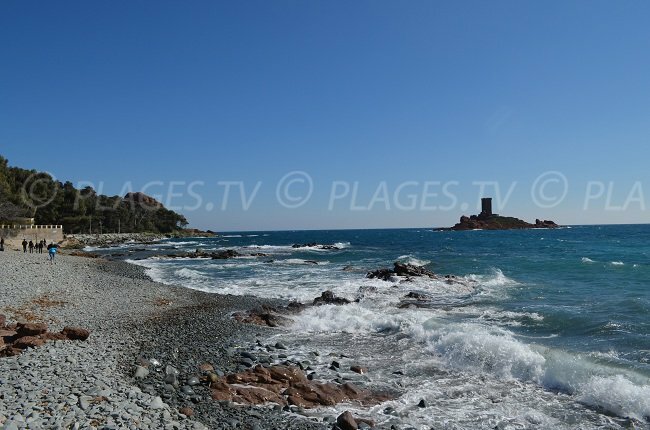 The Dramont Beach is one of the most beautiful (if you like the boulders), with its breath-taking view of the Ile d’Or. This island consists of red coloured rocks which have inspired Hergé for his comic strip "Tintin and the Black Island". This pebble beach is ideal for families and has shaded rest areas. This is also the place to go to indulge in sea kayaking and other water sports! Nearby, in Agay, located less than 4 km away, Agay Beach with fine sand is beautiful, especially at sunset. But our heart belongs to the beach of Camp Long near Cap Dramont. This small sandy beach is sheltered by rocks. 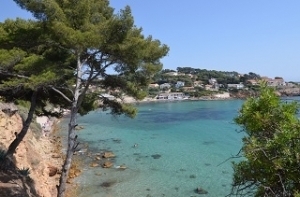 The setting is beautiful and, for walkers, it is the starting point for a hike that can reach the “Débarquement Beach”. Baumette Beach is also very nice, well sheltered in its small cove, it has remained very untamed. Taking the Corniche d'Or, which connects the city to Cannes, you will find many other small paradises in which to laze in peace, well almost! This road is carved into the rock and the beautiful landscapes and panoramas follow one after another, forcing the visitors to make numerous stops on the way! 40km long, ochre mingles with the red of the rocks and the blue of the sea: it is simply superb! Do not forget the red coves that give the impression of being in a western landscape amid the canyons! 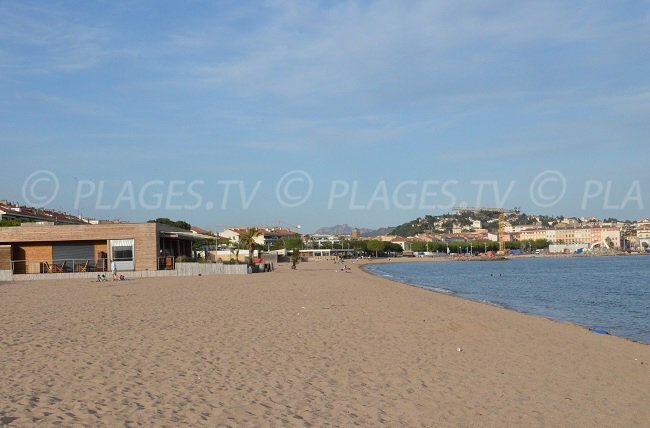 If you prefer sand, go to Péguière Beach, near the centre or on Arene Grosse Beach! The city centre beach is also very nice with a beautiful promenade and is supervised in the summer season. Enjoy your stay to visit the nearby cities! 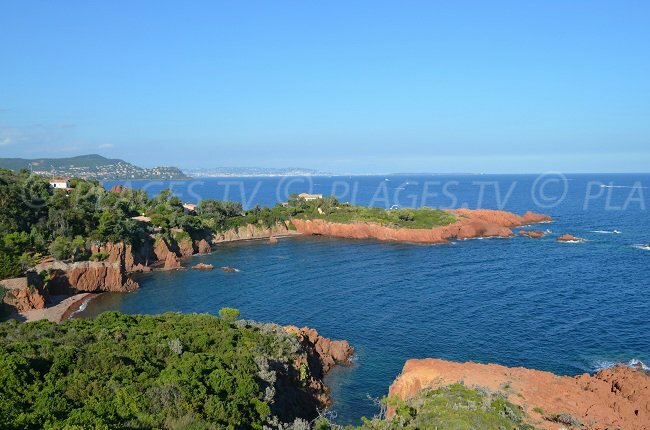 To do this, take the coastal road that leads to Théoule-sur-Mer, the view is superb! If you like walking, head for the Massif de l'Esterel, an ancient volcano that has kept an amazing red colour and is covered in Mediterranean vegetation. Many trails criss-cross it. It seduces the sports minded as well as the photography enthusiasts; by bike, on foot or horseback, its discovery promises a great time! 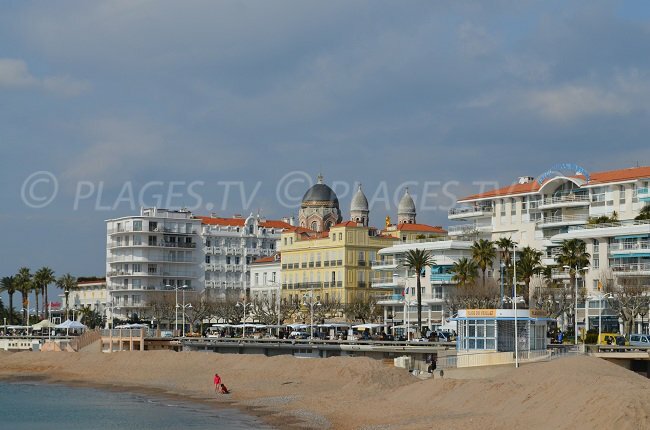 Fréjus, Saint-Aygulf, Anthéor or Roquebrune-sur-Argens and Sainte-Maxime, the choices abound around Saint Raphael! 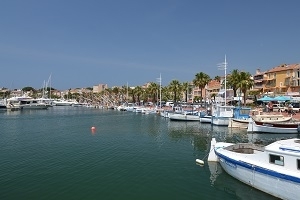 Fréjus is at the heart of the Gulf. It is a good introduction to many activities (fishing, sailing, kite surfing, water skiing ...) and its rich heritage is exciting. 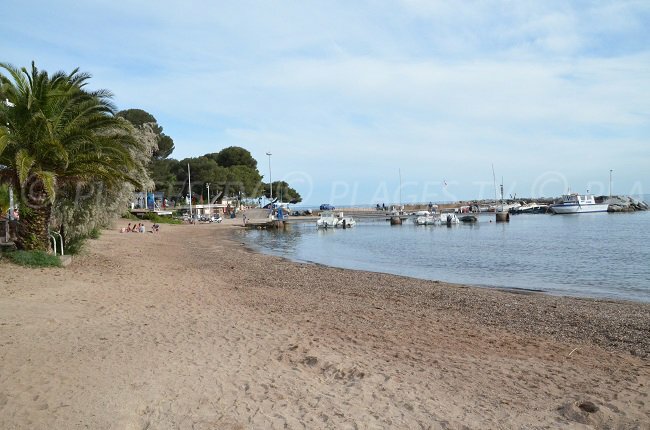 Frejus beaches are more family orientated with large stretches of sand. Then wonder through the streets of Roquebrune, a medieval Provencal village full of treasures. After visiting the town, do not miss the Saint-Roch chapel nearby, the “Vieux Pont” of Argens, the rock of Roquebrune with its fauna and flora and the Lake Arena.